Register to remove this ad. It's free! So I've been lurking on the forums for about a year. 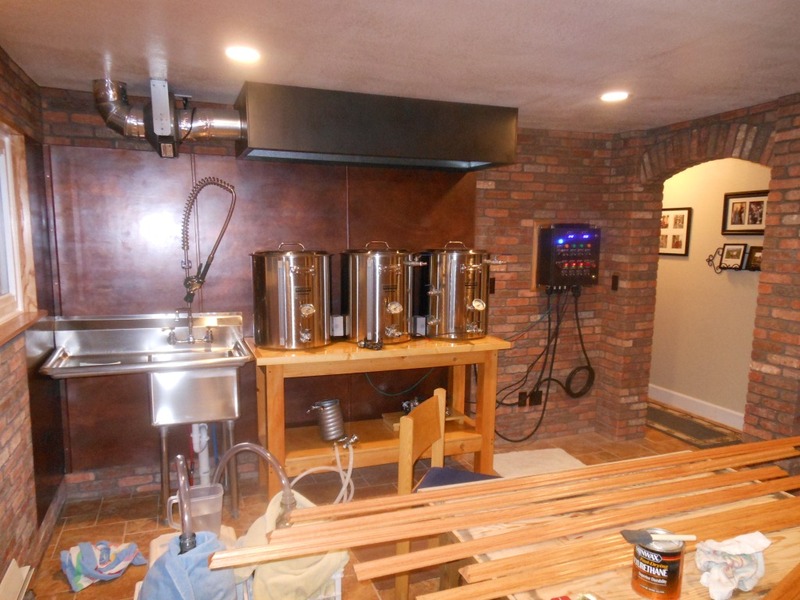 After 20 years of brewing 5 gallon batches with propane I decided I was tired of hauling my equipment up from the basement to the garage every other week when I wanted/needed to brew. 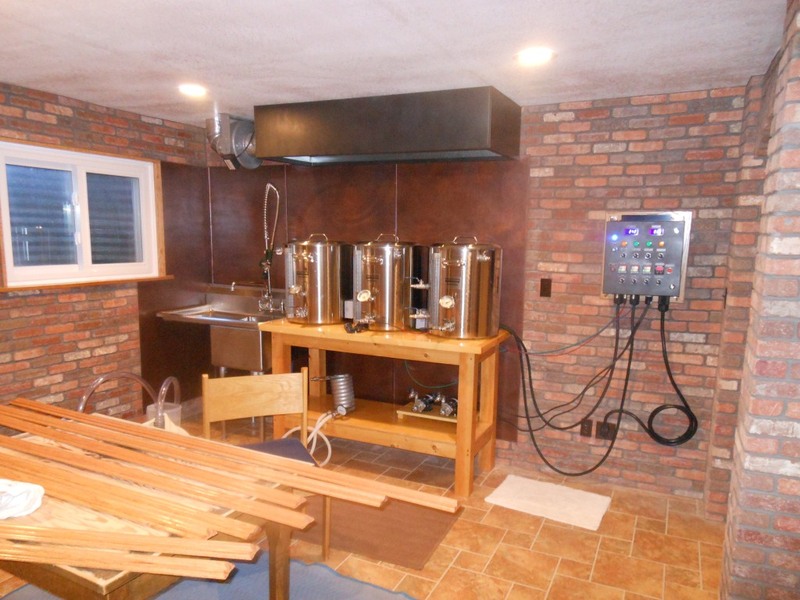 After about 3-4 months of planning and discussing different options, I decided to go with an electric brewery in the basement. The plan started simple enough--a couple of pots, a controller, and maybe an exhaust fan. But with all things it sort of mushroomed a bit. I ordered the first pieces last spring--a 50 A B2B kit. I worked slowly from that point--completing a few pieces when I had extra time--detailing the plans for the rest of the room, etc. Well, last saturday, the new home brewery produced its first product--10 gallon black IPA that is bubbling away quite nicely down in the corner. I share a few pictures of my brewery, below. Mostly, I want to say thanks to the folks on this forum--The wealth of information on here has made the process pretty simple. Kal-the directions you provide are incredible. All through the process, I kept looking for things that I could change or tweak --but surprisingly found very little. I think in all my work building the brewery I only had to post one or two questions--everything else had been covered one time or another by Kal, Mike, or some other poster on the forum. So now that the brewery is done, I get to start spending some hours finishing the tap room. I'm looking forward to that, but mostly looking forward to making some new brews and learning a somewhat different process than I've been practicing for the last 20 years. Very nice looking build Jeff, congrats! Dude it looks great! Nicely done. 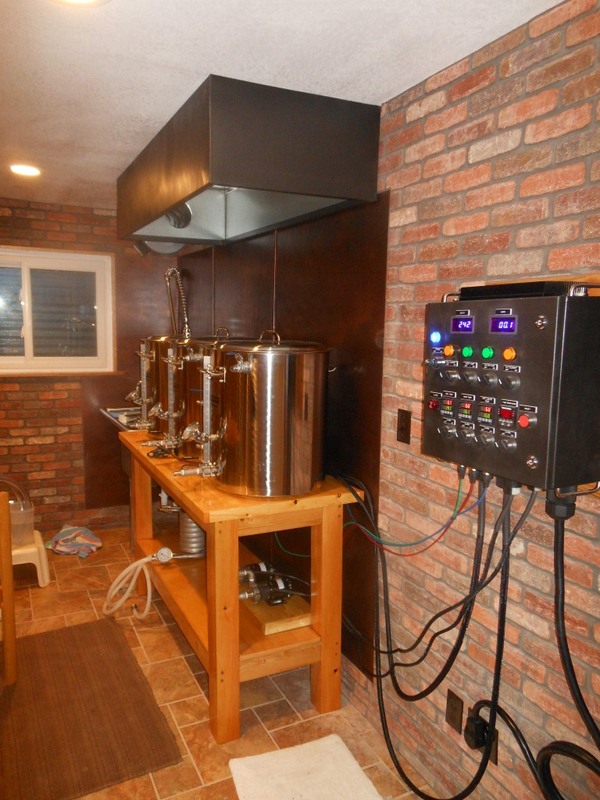 And the brew space you have is awesome. I like the brick. So can you tell us about your vent hood? I'm always looking at new ways to do this because I still haven't built my hood. Did you make it? Vent hood is galvanized. I had a sheetmetal guy in town bend it up for me. Pretty straight forward design with a 1" gutter around the inside. Primed and painted with the same paint I used on the control box. MUCH cheaper than going with stainless. I was originally going to add a drain to the gutter, but the fan moves way more air than I expected. No condensation on the inside of the hood during my brew session. Kal-the directions you provide are incredible. All through the process, I kept looking for things that I could change or tweak --but surprisingly found very little. Are you sure about that? When I first looked at the control panel you built I thought it was upside down with the PIDs and timer near the bottom! 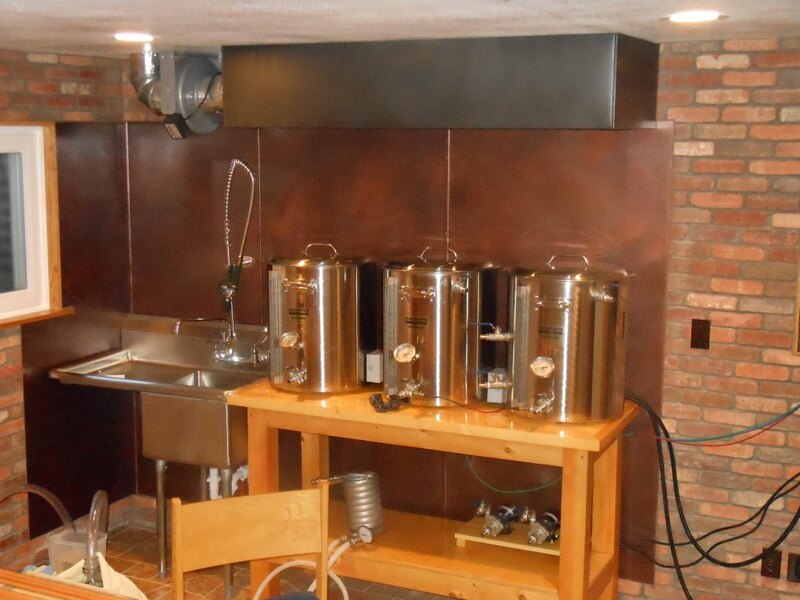 In all seriousness: Congrats on the new brew room. It looks fantastic! Like others posted above, I really like the brick too. It gives it a nice rustic but yet industrial feel like an old downtown loft apartment or something. Edit: If it's ok with you, I'd like to use one of the pictures with some of your text on our testimonials page. I'm looking forward to see pictures of the tap room too as things progress. Purchasing through our affiliate links helps support our site at no extra cost to you. We thank you! Kal-feel free to use any of the pictures/text you would like. I'll get some more pictures up as I finish the tap room. Also--for anyone interested in a 50A panel--I have drawings of the panel layout that were used for the waterjet, I would be happy to post them if anyone wants them. That's incredible. Is the back drop copper or what? I could use that drawing for the panel layout. Thanks for sharing your work, very inspiring to think that maybe this time next year I will have produced a batch in my own system. Done! I added it to the Testimonials page and linked to this thread so that if/when you add more pictures, people can see them. yes, backsplash is copper, 3' by 6' sheets of 36 guage. I got them through colorcopper.com. I liked them so much I ordered some more to do some table tops. 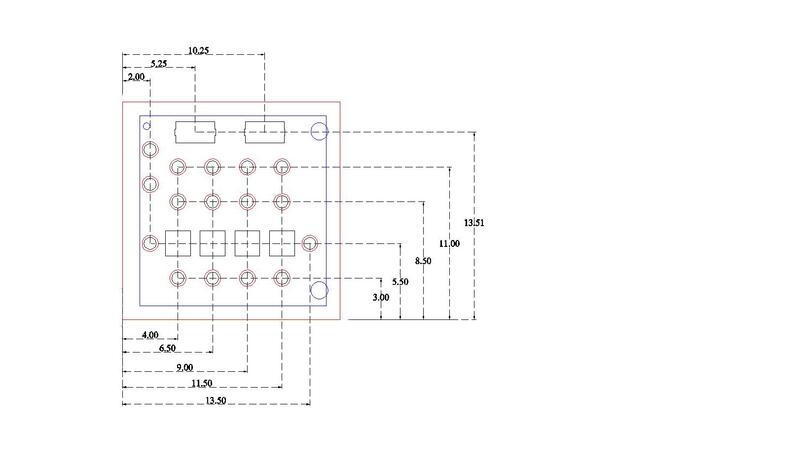 Attached are the dxf files for the control panel top, front and bottom (in the zip archive). I referenced a single location to one hole, then the water jet can cut everything off that reference. If you use this, I would suggest opening up the holes for the volt and amp meter just a bit--I had to use my dremel to open those up a bit more. The jpg shows the dimensions used and can be viewed easily without a CAD program or viewer.